Tommy Walsh's "DIY Survival" provides a step-by-step guide to completing many of the most basic DIY tasks around the home. It includes a guide to the tools and equipment needed to carry out the most simple tasks, together with practical advice on how to use them safely and effectively. 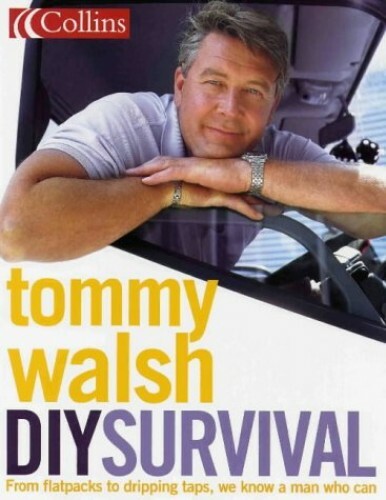 Tommy Walsh's "DIY Survival" provides a comprehensive, step-by-step guide to completing many of the most basic DIY tasks around the home. It includes a guide to the tools and equipment needed to carry out the most simple tasks, together with practical advice on how to use them safely and effectively. The book also contains notes on the basic checks everybody should make around the home, such as locating stopcocks, checking pipes are lagged and familiarizing yourself with the boiler. In addition, it covers a range of basic tasks for fixing and/or improving areas around the home, including: fixing plugs and moving sockets; fitting wall lights; changing taps and clearing blocked drains; connecting a washing machine; repairing and laying floor surfaces; painting, tiling and wallpapering; assembling shelves and flatpack furniture; fixing curtain poles and blinds; fitting door and window security; repairing fences and gates; installing outside lighting; and building a patio barbecue.